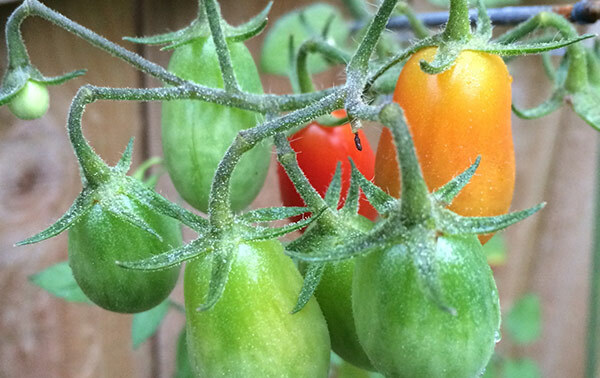 If the phrase “green thumb” is meant to invoke the healthy color of the plants you care for: mine’s often more dry, yellowish, with brown edges. I love having plants around me, but I’m a pretty busy guy. Like many of us, I have trouble remembering what day it is, let alone whether it’s rained enough or the soil chemistry is right for my garden. This review wouldn’t be on this page if it wasn’t somehow involving crazy technology, right? Enter: The Parrot Flower Power. Cool device, great battery, easy setup, helpful reminders. Still have to be in bluetooth range to check reports. 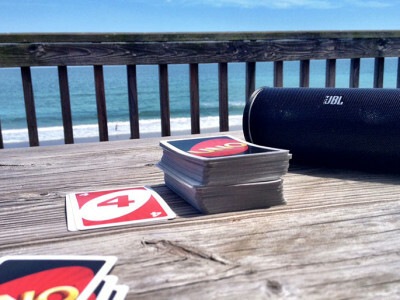 The device is intuitive and helpful, but isn’t a magic bullet if you’re already terrible at paying attention. The Flower Power is essentially a small (about 8 inches tall) Bluetooth 4.0 enabled sensor array shaped like a stick, or a sprouting plant. It’s waterproof, indoor/outdoor, and a single AAA battery lasts for at least 6 months.You can press the sharp end into the ground (or pot) set up the Flower Power on your iPhone or Android device. The app is free and is fairly easy to get up and running. Whenever you’re in range of the Flower Power, you can poll it for its readings. The internal memory can hold many days worth of scans, so don’t worry about missing a day… you have to tend to your plants daily anyhow, right? The main parts of the flower power are the sunlight sensor on the top of the stick, as well as moisture sensors in the stake. There are thermistors in the top for checking surrounding air temperature and in the bottom for checking soil temperature. The Flower Power uses soil electrical conductivity measurements to detect the amount of ions in the soil (More ions, more fertilizer). 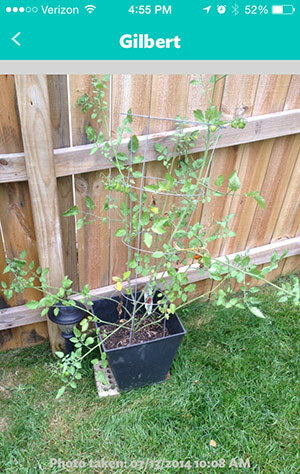 I had a tomato plant growing in a large pot in my yard. It’s a Grape Tomato. That’s all I know about it. Well, that and it wasn’t doing very well. My buddies at VerizonWireless hooked me up with this Flower Power device and I thought I’d give it a go. Set up was fairly easy, Twist the cap on the sprout, insert one AAA battery, replace the cap. Next I had to download the application on my iPhone. I followed the easy account creation and setup instructions and paired the device to my phone. Next, it was time to add the plant. Easy enough, I selected the details, and chose which Flower Power was monitoring it, apparently you can use several at once. Apparently I didn’t know enough. 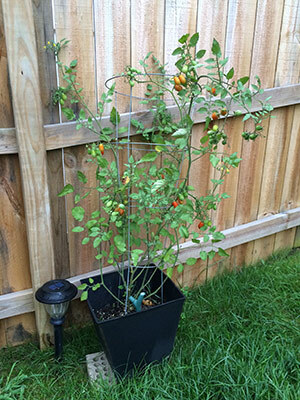 I knew this was a “grape tomato” from the tag that came with the seedling. 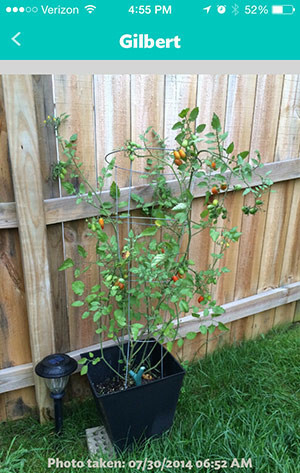 However I was lucky that I already had one with fruit on it, I could use the pictures of the hundreds of tomato plants to try to identify it. If you don’t already know the specific scientific name or species (who does, right?) it could be very difficult to find your plant in the database. We’ll go with Napa Hybrid and try our best. 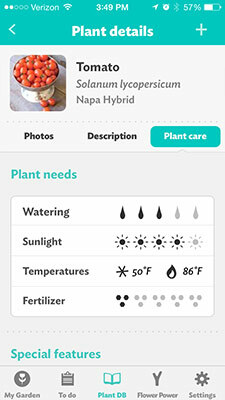 The plant care details page gave me a general idea of what to expect. 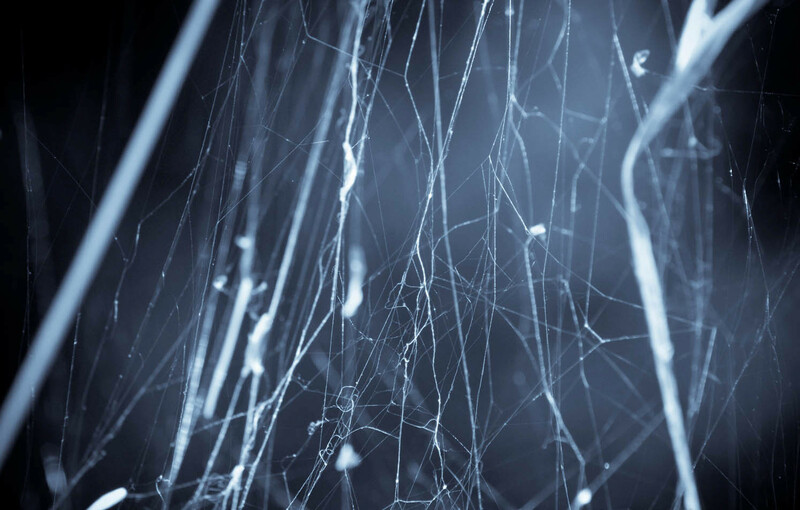 It needed to live in significant sunlight, and didn’t need over-fertilized. The app had me name the plant, and take a picture. Everyone? Meet Gilbert Grape Tomato. Gilbert? Everyone. 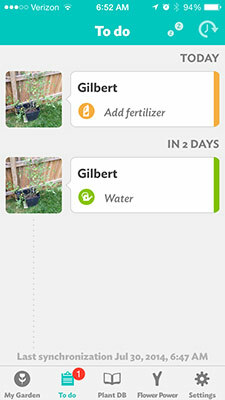 Once it’s fully set up in the app, you’ll see it appear in “My Garden”. 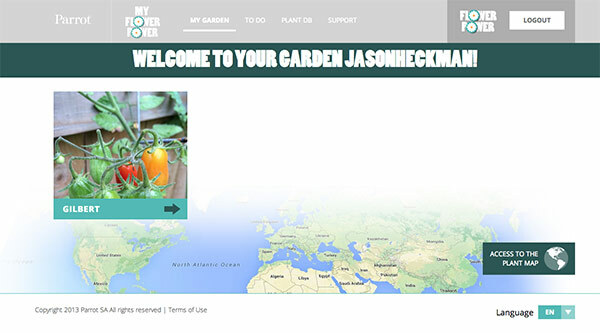 It takes about 24 hours to get a first report on your plant, but you can immediately pull some information from the live feed. 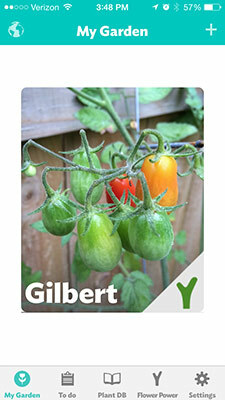 At this point, Gilbert was moderately sad, his leaves were yellowish with brown edges, and his stems were flimsy. Lets give him some time. The plant was outside my back door in the yard, so I’d just make it a point to go out every morning and evening when I’m letting my dogs outside to open the app and re-sync the Flower Power to the app. Occasionally I’d get messages from Gilbert that he needed something. While you still have to actively pay attention to the plants, this helps remind you what it needs and when. 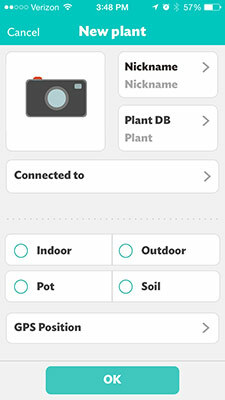 If you’re someone who forgets about plants and they constantly die, this app will only help you if you similarly remember to go and pull reports from the sensor. I followed my Flower Power recommendations, it was quite easy. 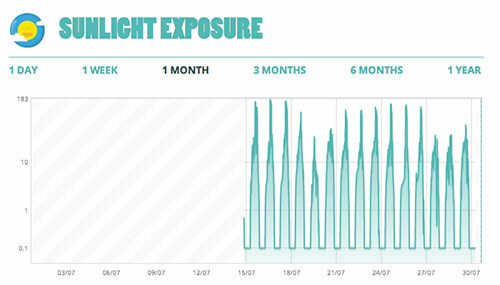 What if I really like graphs and charts? 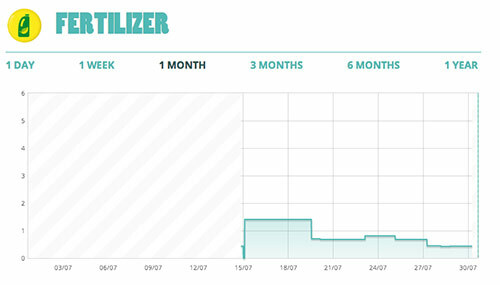 If you’d like some larger graphs and a big view of the data, you can use the Flower Power’s cloud site. 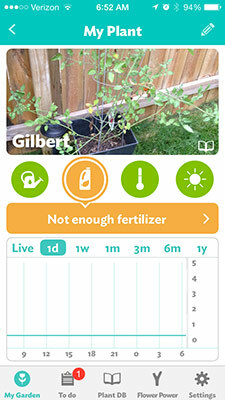 Here you can see your garden and select the plants on which data you’d like to drill down. 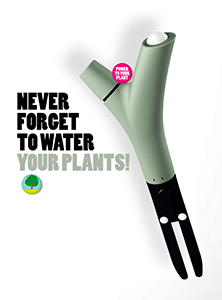 Ok, we’re dying to know, did this magical robot stick help your plant? So, my official opinion is that I like the device. 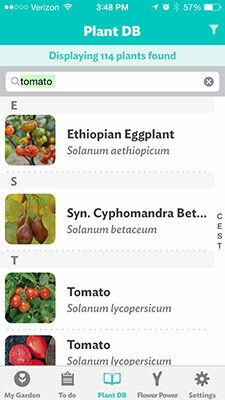 I think it provides interesting information on the health of your plants. However, it’s not a silver bullet. You still need to remember to go check the readings, and then act accordingly. Let’s see how gilbert feels, these photos are a little over two weeks apart. On the left, the initial photo, he’s yellow and chalky. On the right, he’s darker green, and has more fruit. I’d say just having the device to remind me he was there helped me care for him.